WE MADE IT THROUGH HURRICANE MICHAEL! 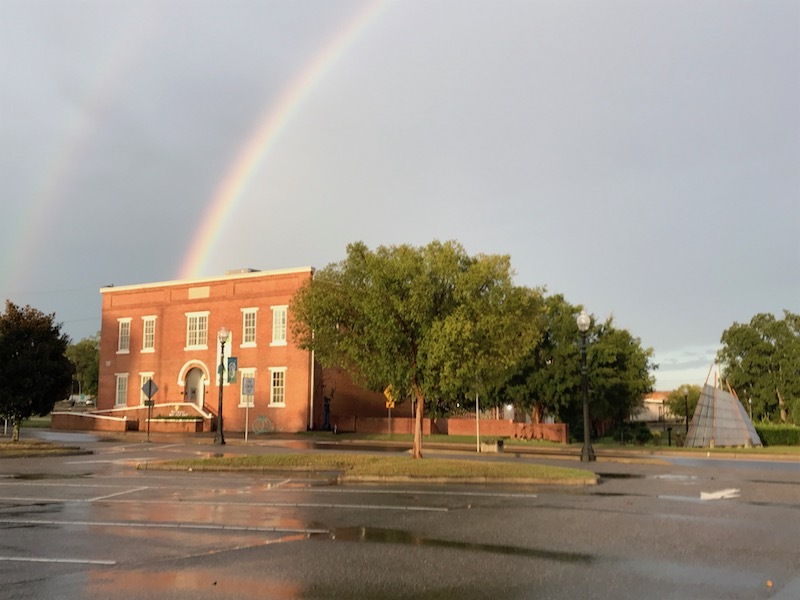 The Wiregrass Museum of Art made it through Hurricane Michael with very little damage and just a couple of days without power. The staff would like to thank the City of Dothan (especially for the generator to run portable dehumidifiers and fans in the vault), the utilities crews, the local media, and everyone who has reached out to us to help since October 10. All of the artworks in our care are in good shape, and the building is ready to open to the public once again this coming week. Our thoughts are still with the whole Wiregrass community in Alabama, Georgia, and Florida — especially with those who are still without power and water, those without livable homes, and those who have lost everything. We are here to help in any way we can. In an effort to help people in our community who are recovering from this devastating storm and for anyone looking for things to do while local schools are closed and power is still out, WMA will offer several special events this week. WMA’s regularly scheduled Youth Art Class on Tuesday (4-5:30 p.m.) will be held as planned. Art After Hours on October 18, which is normally free for members and $5 for not-yet members, will be FREE for everyone in our community. Come celebrate the opening of fall exhibitions with us, including Echoes: A response to objects in WMA’s permanent collection by the Alabama Women’s Caucus for Art and Ground Beneath My Feet – Collaborative Portraits with Visual Artists in My Hometown, featuring photographs of Alabama artists by Charity Ponter. Enjoy free snacks and water! Other beverages will be available for purchase, as usual. Please remember that general admission to WMA is ALWAYS FREE, so drop in to see us soon. Bring a neighbor or friend who has never visited the museum before, or invite Hurricane Michael evacuees who are in Dothan to pay us a visit. We always have free gallery activities for children of all ages, as well as watercolor painting kits to use out in the garden while enjoying the beautiful fall weather that has finally made it to our city. Have any questions? Give us a call at 334-794-2871 or send an email to info@wiregrassmuseum.org. We hope to see you soon at 126 Museum Avenue!